This is what you get when you combine robotics, the projection-mapping of 3D computer graphics, and an actor all working together in perfect synchronization. 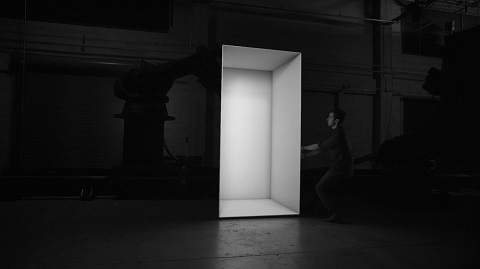 It’s a five-minute short film called “The Box” — and it’s nothing short of revolutionary. 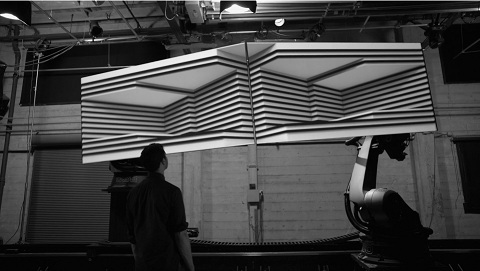 The short film was produced by San Francisco-based design and engineering firm Bot & Dolly. It’s the first of its kind — an achievement the producers believe will “radically transform theatrical presentations and define new genres of expression.” The creators describe the film as being both an “artistic statement and technical demonstration”, one that explores “the synthesis of real and digital space through projection mapping on moving surfaces”. To create this stunning effect, Bot & Dolly used an actor, two high-resolution projectors, two 2D monitors, and three industrial robots (one for the camera) that were synchronized and controlled by integrating their own software with Autodesk’s Maya. “RajaRani” The Most publicized and talked movie in recent times tell you a story of couple who marry against their will after losing both their lovers. Preferring to hold on to their past love life, both are often fighting with each other in an attempt to break away. Regina ( Nayanthara) tries to get transferred and wants to get out of the country, while John (Arya)drinks himself senseless every night and creates a riot in his neighborhood . As the story progresses, John and Regina learn about each other’s love life they start to sympathize with the other. 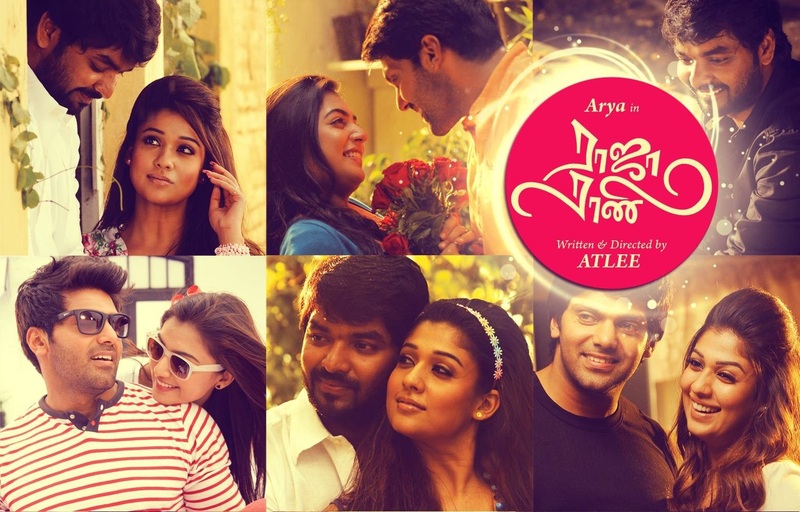 Debutant director Atlee’s Raja Rani is a simple love story about how to cope with life when we lose someone we love. That ‘there is love after love failure’ and importantly ‘there is life after love failure’. The debutant director has been blessed with great cast; Nayanthara and Jai have performed to their best in this film. Arya and Nazaria have less screen time but their performances good too. Santhanam as Arya’s friend has performed well and has shown that he can do character roles and not just be a comedian ,and Satyaraj is getting younger by the film than and as done well as Nayanthara’s father. Director Atlee ‘s has shown maturity by handling this subject, only previously handled to perfection by Mani Rathnam in ‘Mouna Raagam’. The romantic scenes are well handled and a hit among the audience. The only let down are the songs which were not visualized good enough, though reasonably good to hear. The second half could have been shortened; its length was much and was dragging. Even though the film was very predictable it was well told and far better than many Tamil films which released this year. I give it 7/10. It’s a story of how two strangers get connected by a lunch box reaching a wrong address, rare mistake by the dabbawala. 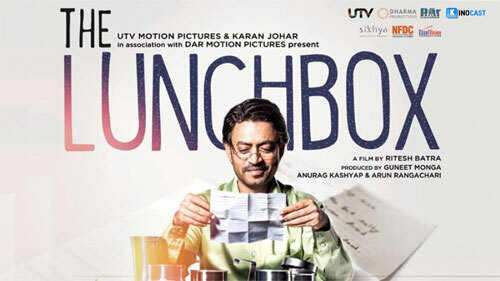 Ila (Nimrat Kaur), a housewife whose husband doesn’t give her any attention, does her best to please him with her cooking skills, but the lunchbox reaches Saajan Fernandes’ (Irrfan Khan) who works in the Accounts Department at a Government office . When Ila finds the lunchbox empty but no change in her husband’s reaction, writes a letter ans sends it along with the lunch box which starts off a beautiful relationship between them. Is a story of Bose Pandian (Sivakarthikeyan) the leader of a Self-proclaimed club called Varutha Padatha Valibar Sangam, whose main objective is to publicize themselves through flex banners and loafing around carelessly in the village. He falls in love with the village chief Sivannadi’s (Satyaraj) daughter who is basically against love . How both sides clash and who wins in the end forms the story. A very simple formula has been well executed by the director and his team. Sivakarthikeyan acts with ease and delivers comedy one-liners like his breath. We can expect more good performances in the coming years. Parota Soori performs well as the side kick, actually takes commands in more scenes resembling Satyaraj and Goundamani duo. 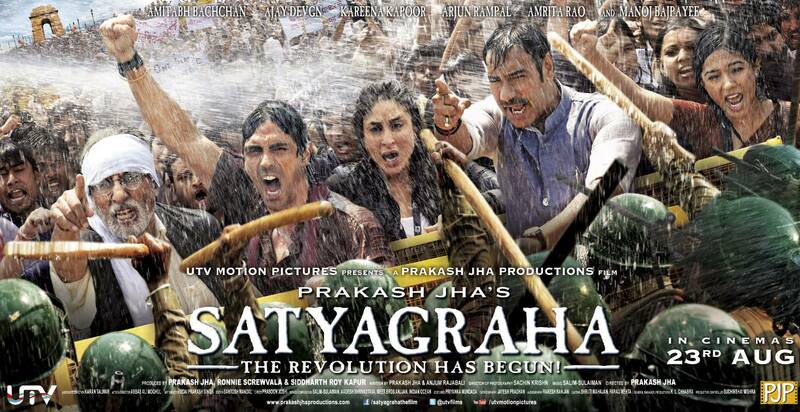 Satyaraj though has very less dialogue in the film his sheer presence makes him irreplaceable in the character. Imman has composed the right tunes in the film, his Intha Ponnungale and Paakathey Paakathey songs are a sure hit. Cameraman Bala subramaniam as given us a visual treat his frames make us drool like kids in front of a shop filled with sweets. Even though the director has followed a simple formula there are lags in the storyline, often leading to aimless comedy than the story itself. The casting is the real hero of the film. An entertaining comedy without logic and could have been trimmed by at least 20 min. I give it 6/10 .